Tis the season for covering your home in as many decorations as possible. 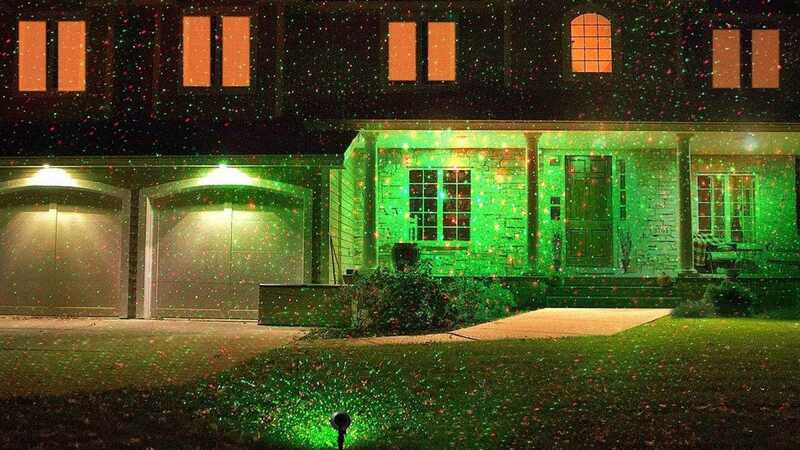 You want to make sure your home looks more festive than your neighbors’, right? We’ve checked out the best Christmas projectors and laser lights for creating the perfect look for the holidays. Predictably, there are a lot of tacky options out there. Your home deserves better than that, so we’ve focused on just a few choices that will make your house look good and Christmassy throughout the season. You can easily bring such devices back out year after year too, so these are solid investments. Even better, unlike balancing dangerously on a ladder like Clark Griswold you just set them up in the yard on a stake, plug them in, and you’re good to go. Here’s our pick of Christmas projectors and laser lights. 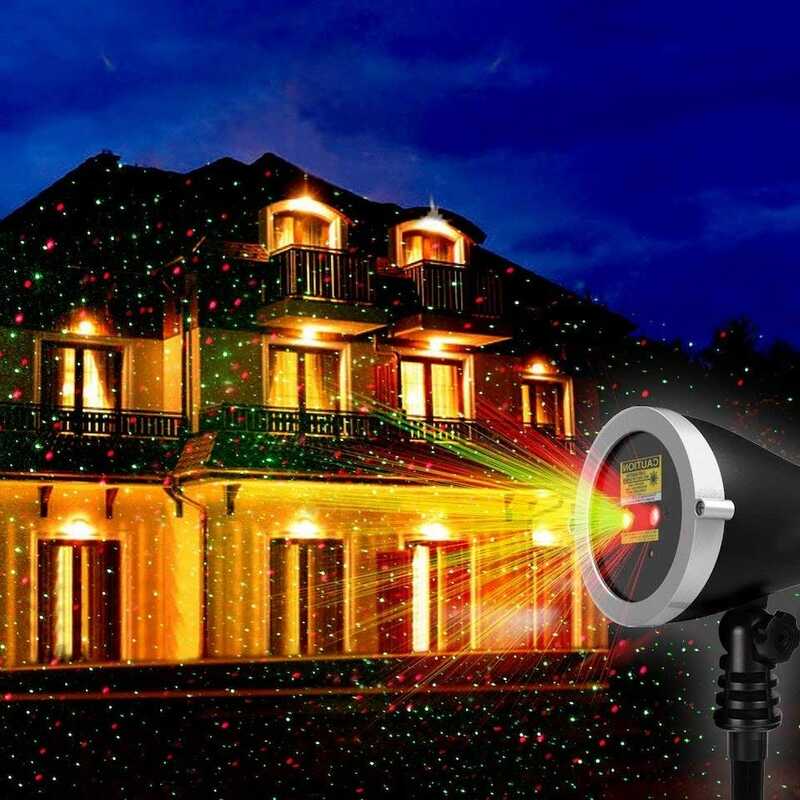 The 1byone Christmas Outdoor Laser Light Projector is simple and effective. Simply plug it in, turn it on, and your home or garden is instantly illuminated in green and red lights. The lights can cover up to 2,1000 square feet from a distance of 25 feet, so it’s a perfect projector for large areas. You’re able to set it to motion, flashing, or stationary lights, depending on how you want your Christmas decorations to look. There’s a built-in timer function with the laser lights automatically turning off after 6 hours of use before turning on again after 18 hours, so you don’t have to worry about fussing with it. There’s also a remote so you can turn it on and off from the warmth of your house. It’s a great way of ensuring your house stands out on the street. 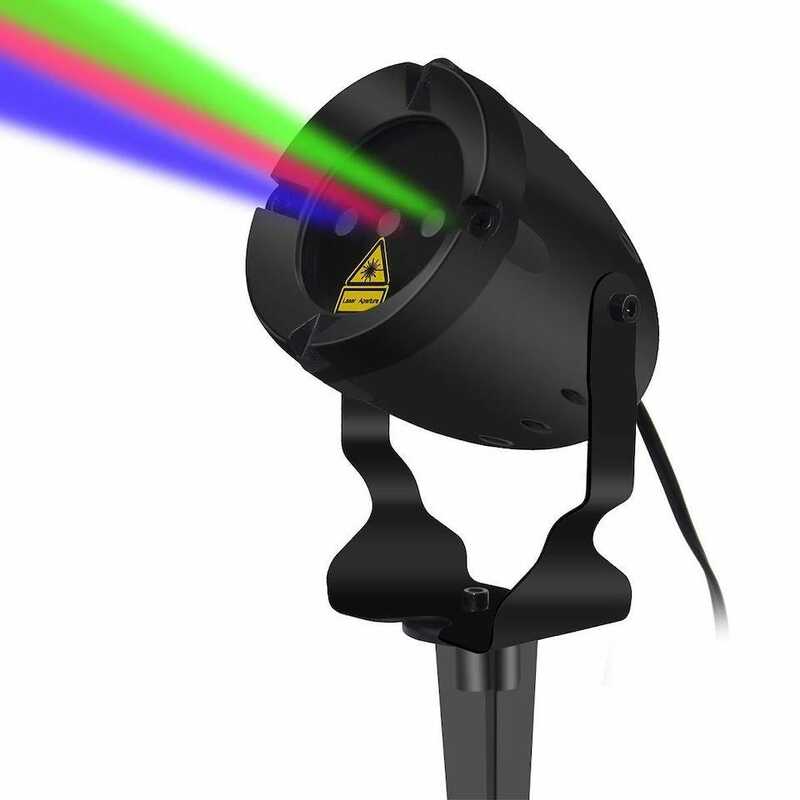 Another solid entry for laser lights is the LSIKA-Z RGB Waterproof Laser Christmas Lights. They offer green, red, and blue lights over 1,000 square feet. In addition to the extra color option, there are also more options for how things are lit. You can choose to have one color projected or opt for a combination. Timer settings allow for durations of 2, 4, 6, or 8 hours, with flashing or static lights also an option. If you want a few more options for your laser lights, paying the extra for the LSIKA-Z RGB Waterproof Laser Christmas Lights is worth it. 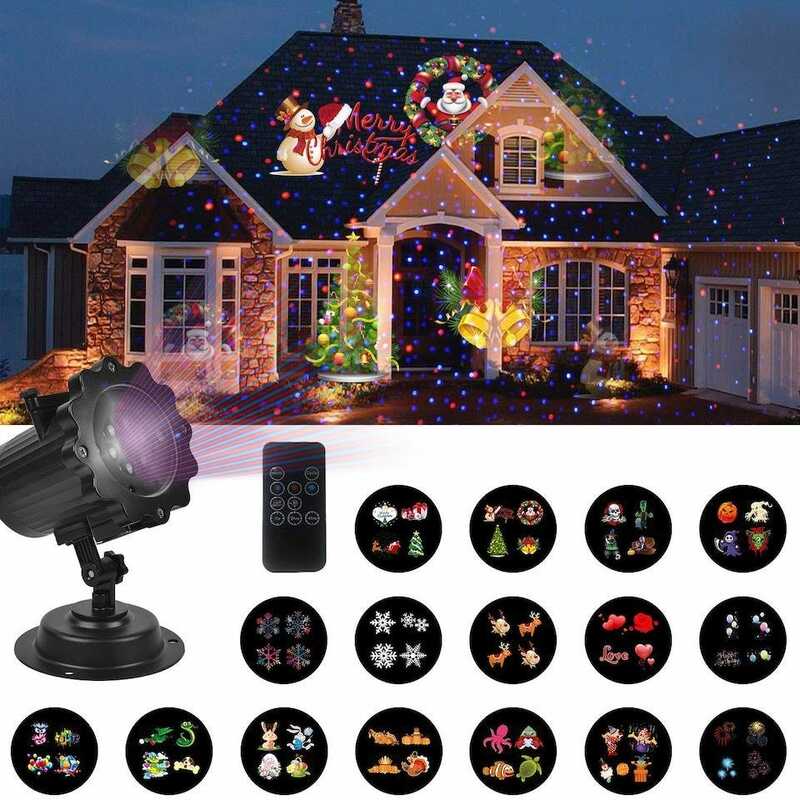 For those times you want more than just pretty lights, there’s the B-right Christmas Projector Lights. 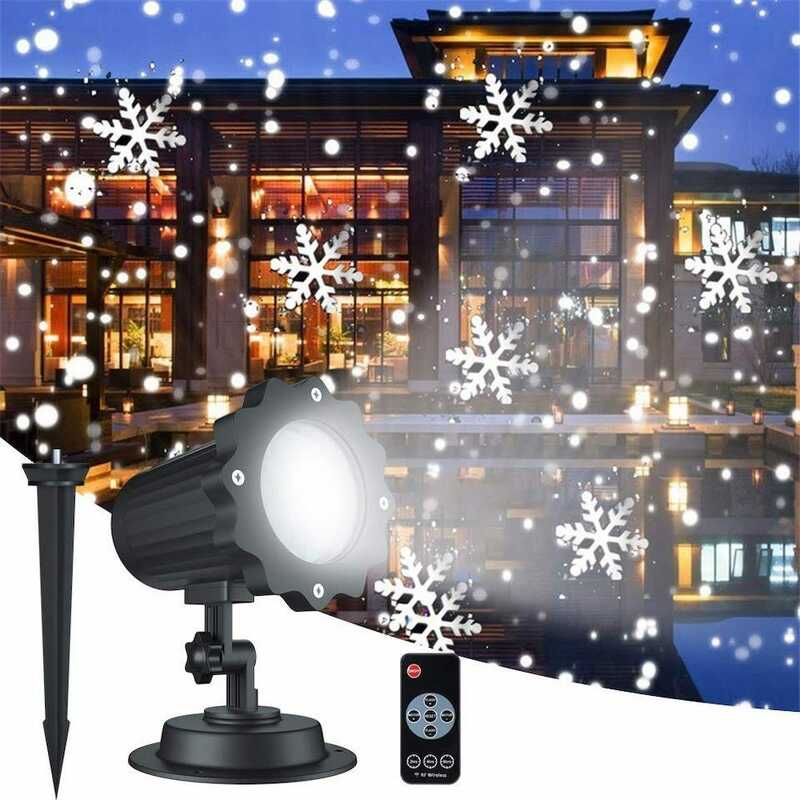 This outdoors projector offers up 7-9 large snowflakes and snow that moves automatically to make your home or garden look reasonably festive, even if you don’t have a proper snowfall. It’s suitable for both indoors and outdoors use although it is suggested not to use it in heavy rain. There’s a timed loop function which offers 2 hours, 4 hours, or 6 hours, with you able to change that via a remote with a range of 32 feet. You can tweak the speed of the images too, as well as whether they flash at regular intervals. The UNIFUN Christmas Lights Projector has the right name for it. It’s a little cheesy but it offers a series of charming projections from Christmas trees to snowflakes, stars, snowmen, and much more. It comes with switchable sides for Halloween too, like ghosts, skulls, and pumpkins. If you simply want a light show, that’s an option too with a single red or blue star pattern available. A built-in timer allows you to set it for 1 hour, 4 hours, or 6 hours, with the projector automatically turning off again afterward. If you want something a little more fun protected on your home than laser sparkles or just snowflakes, this is it. Any parent will tell you that a lot of the time before Christmas involves distracting your child by any means necessary. We’re not saying get your kid to stand outside with the NEXGADGET Christmas Projector Handheld Flashlight for hours on end, but do let them mess around both indoors and outside with this little gadget. 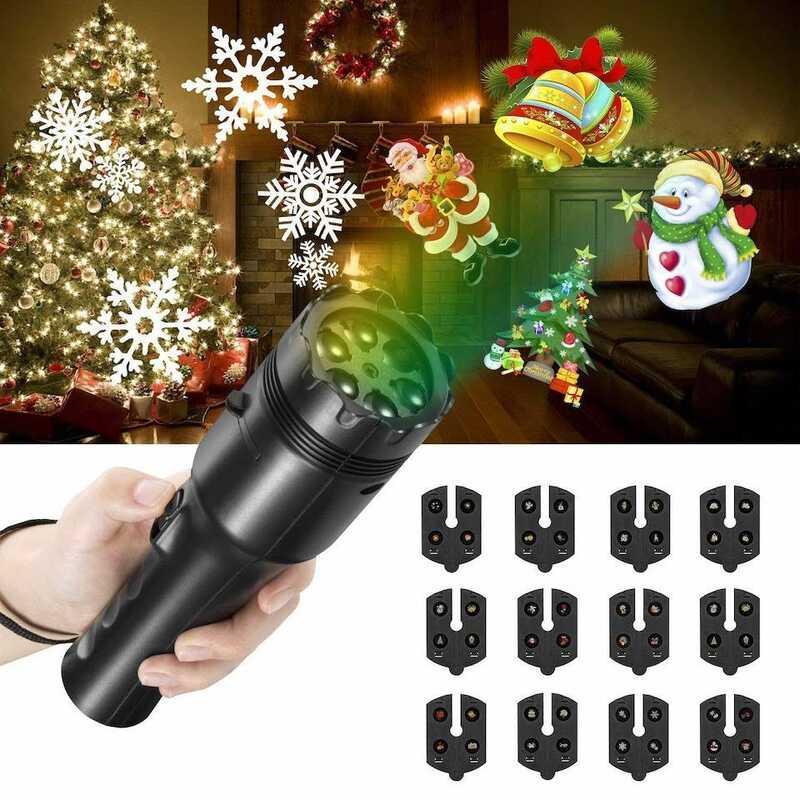 It works exactly like a flashlight, but instead of solely emitting light, it offers up 12 different slides of festive fun. The various different shapes include stencils for occasions like birthdays and Halloween, as well as Christmas. It’s the kind of thing that could distract your kid just long enough for you to maintain your sanity and get a little wrapping (or eggnog drinking) done. Plus, there’s a small tripod so you can easily set it up as an indoor display. 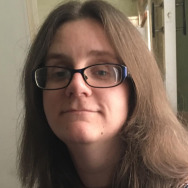 Opening a gift on Christmas is pretty awesome, but opening a gift every month of the year? With these hand picked subscription crates for kids, they can enjoy science projects and fun all year long.